The main character, Asuka Tennoji, is "randomly" given a Z/X card device (which is usually only carried by soldiers and fighters) by a shrine priestess who asks Tennoji to protect this world, from the other copy worlds (red, black, green, and white were mentioned so far) that are invading through mysterious portals that suddenly appeared all over the world. The portals not only connect alternate worlds, but when they first appeared spewed monsters that had little trouble destroying large chunks of humanity. The story is a bit disjointed and you are piecing together information without much help from the show itself. You as the viewed have no idea what the card devices do until right near the end of the first episode, and as the end is a flash back you have no idea how the two periods in time connect. You also have no idea how humanity was able to come back from the attacks that devastated them. I am assuming that the show will spend another episode or two recapping, and then return to the main plot point. So over all I would recommend watching a few more episodes before ruling this one out, but it is a tad "jumpy" and slightly mediocre- probably because you can't really get behind anyone as the "star" of the show yet. You know who the star is, but you don't know why, he isn't overly charismatic, unique, or powerful. I love the character interactions and artistic style of the show, when everything is explained more thoroughly I'm positive this show will receive a warmer welcome. 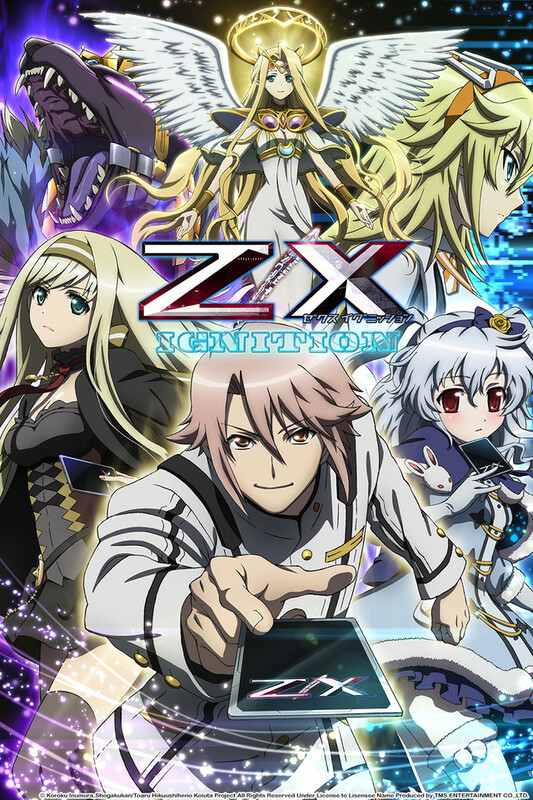 Z/X: Ignition episode 1 was better then I had hoped for. was like a mix of pokemon and digimon but with angels,demons and other monsters.The main Character might be weak right now but I have hope he grows through out the show. The art for this is very well done.